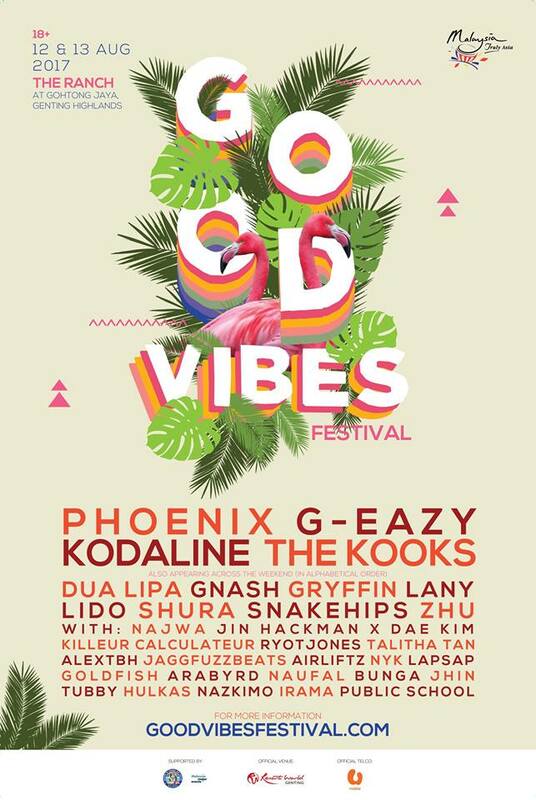 The fifth edition of Good Vibes Festival (GVF) has finally announced its first phase of line-up! From indie legends like Death Cab for Cutie, The Smashing Pumpkins, to mainstream pop artistes like Ellie Goulding, Echosmith, and EDM star Rüfüs, GVF has previously brought in a wide range of music performers from across genres, and this year is no exception. 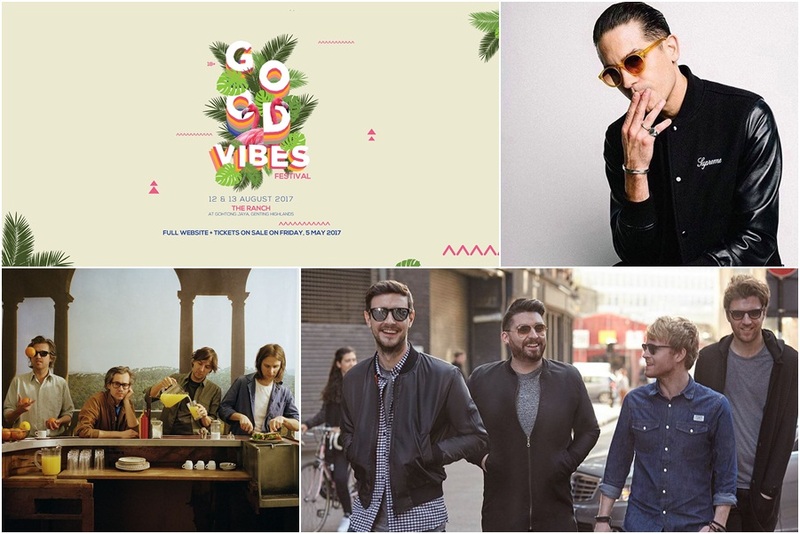 The headliners that will be rocking the annual festival include French alt rock outfit Phoenix, Irish indie rock quartet Kodaline, English pop-rock The Kooks, and American rapper G-Eazy who is known for his smash hit “Me, Myself & I” feat Bebe Rexha. Of course, that’s not all. The headliners will also be playing alongside some other international and local names such as Dua Lipa, Gnash, Gryffin, Shura, Snakehips, Najwa, Jin Hackman x Dae Kim, Ryotjones, Talitha Tan, alextbh, and many more! Taking place on 12 and 13 August 2017 at The Ranch @ Gohtong Jaya, tickets go on sale at goodvibesfestival.com from this Friday, 5 May 2017 onwards. This place is clean and has nice ambiance, more like modern than classic. Our visit to event space San Francisco was just amazing. I believe it was a treat to be here. It would be a treat to attend another event here.